'The Santa Casa in the Loretto is one of the many copies of the Santa Casa in the Italian Loretto, the house of the Virgin miraculously transposed there from Nazareth. 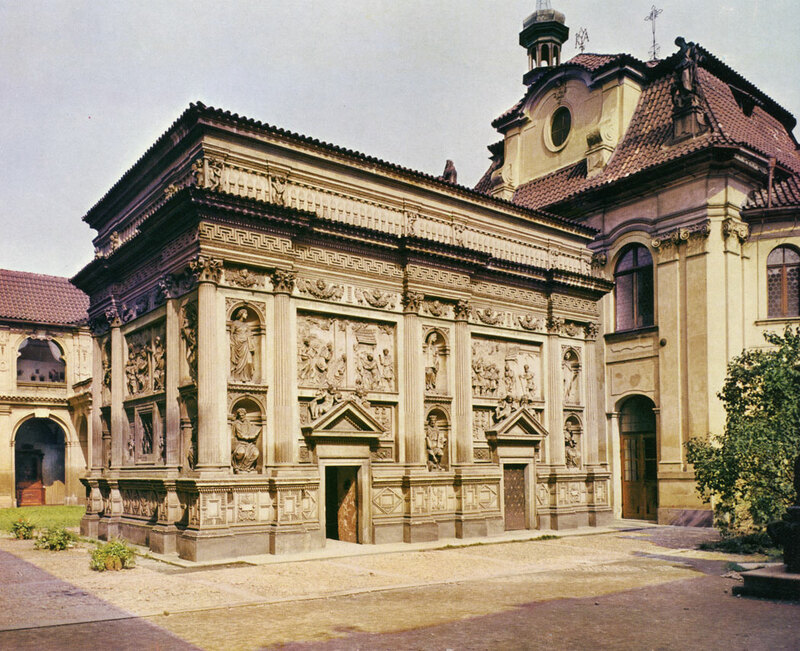 The copy of that Santa Casa in the Prague Loretto was built in the years 1626-1631 under the supervision of Giovanni Orsi. 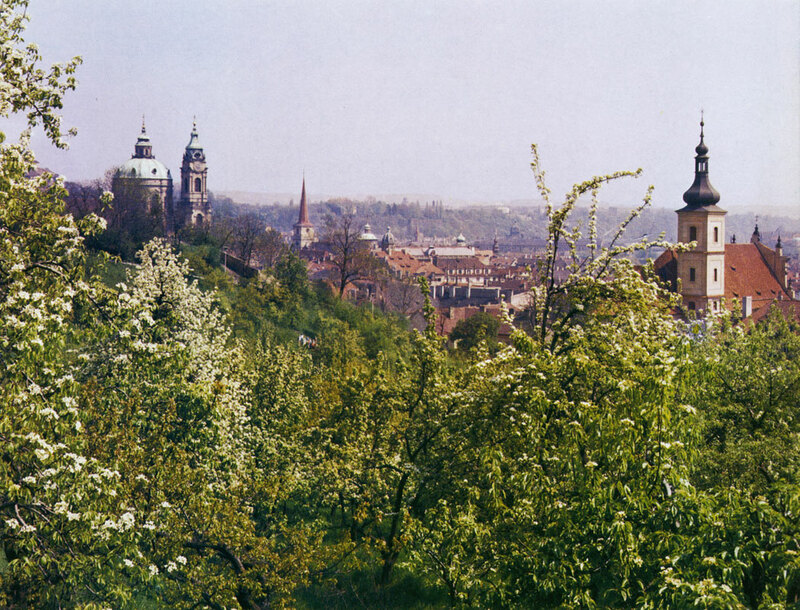 The view of Prague from the Strahov Gardens stresses the size of the town, whose medieval core assumed its final shape in the second half of the 14th century with the foundation of the New Town of Prague (Nove Mesto). 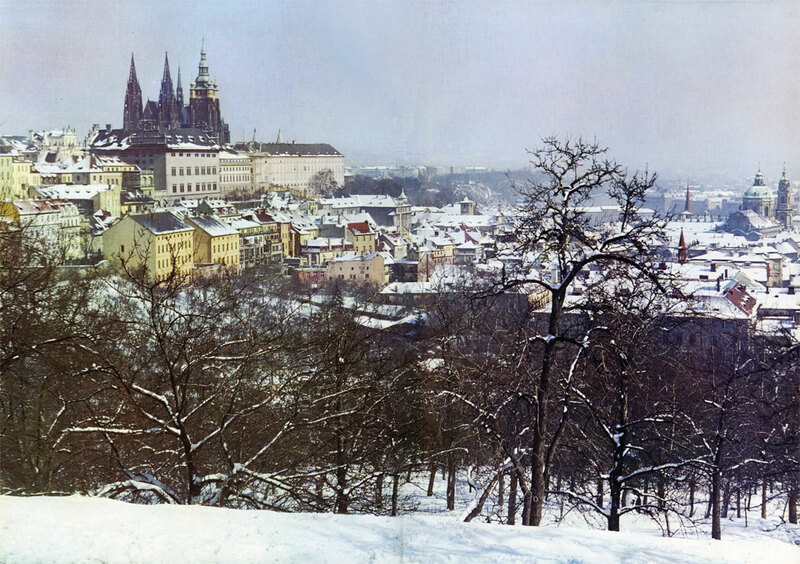 At that time Prague was one of the biggest towns in Europe north of the Alps with imposing buildings confined within its Gothic defence works. 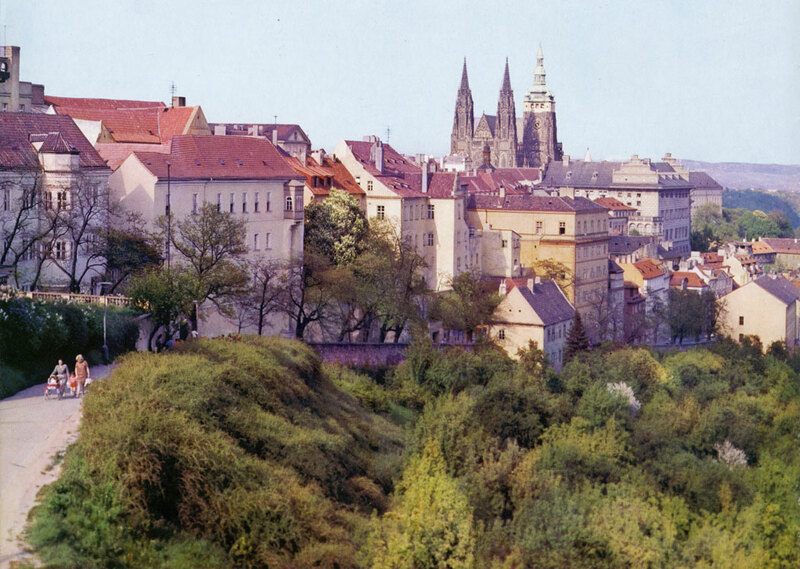 Uvoz today links Mala Strana with Pohofelec cir­cumscribing the Castle precincts and the centre of Hradcany. From the fourteenth to the nineteenth century it was called the Hollow Way. 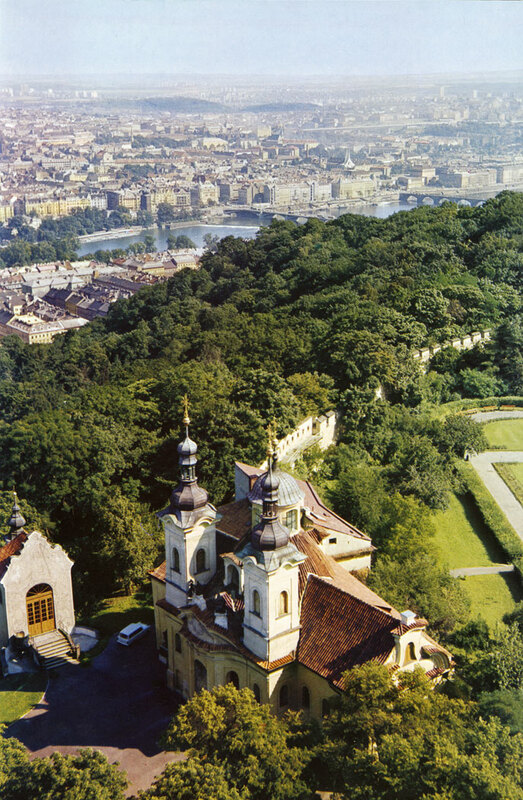 The dominating features of the view of Mala Strana from the Petrin Park are the churches of St. Nicholas, St. Thomas and the Church of Our Lady Victorious (Panny Marie Vitezne). This latter church was built by the German Lutherans in the years 1611 -1613 as the first Baroque building in Prague. After the Battle of the White Mountain (1620) this church became the property of the Carmelites, who establish­ed a monastery here. Since 1628 the church has been widelys known thanks to the wax effigy of the Prague Child Jesus. The former Premonstratensian monastery at Strahov (Strahovsky klaster) has housed the Museum of Na­tional Literature since 1953. The monastery was founded by Prince Vladislav I in 1140 and underwent numerous building alterations over the centuries. The precincts include two churches: the Abbey Church of Our Lady (chram P. Marie) founded at the same time as the monastery and the Church of St. Roch (kostel sv. Rocha) built in the years 1603 - 1612. The Church of St. Lawrence (kostel sv. Vavfince) on Petfin Hill dates from the first half of the 12th cen­tury. During the construction of the Gothic defence works in the second half of the 14th century it was incorporated into the area of the Little Quarter. 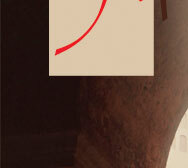 It was restyled in Baroque in the eighteenth century. 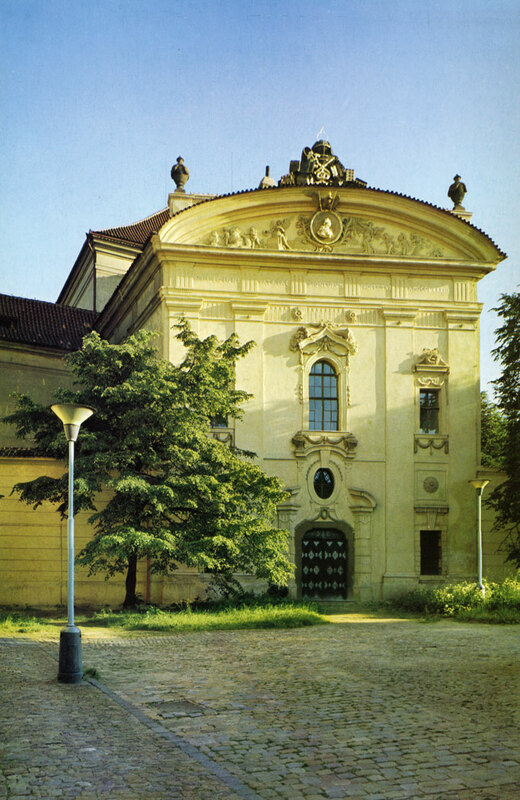 The Theological Hall of the Strahov Library was built by Domenico Orsi in the years 1671 - 1679. 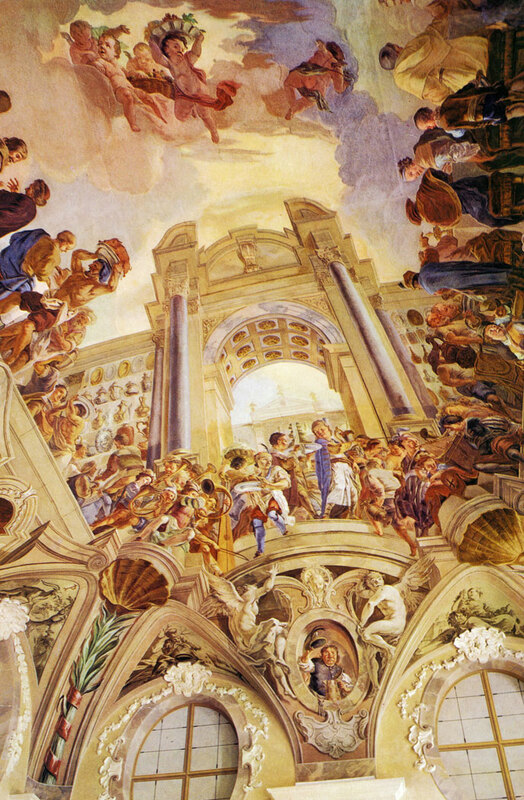 The ceiling frescos are the work of the monastery painter S. Nosecky and date from 1723-1727. 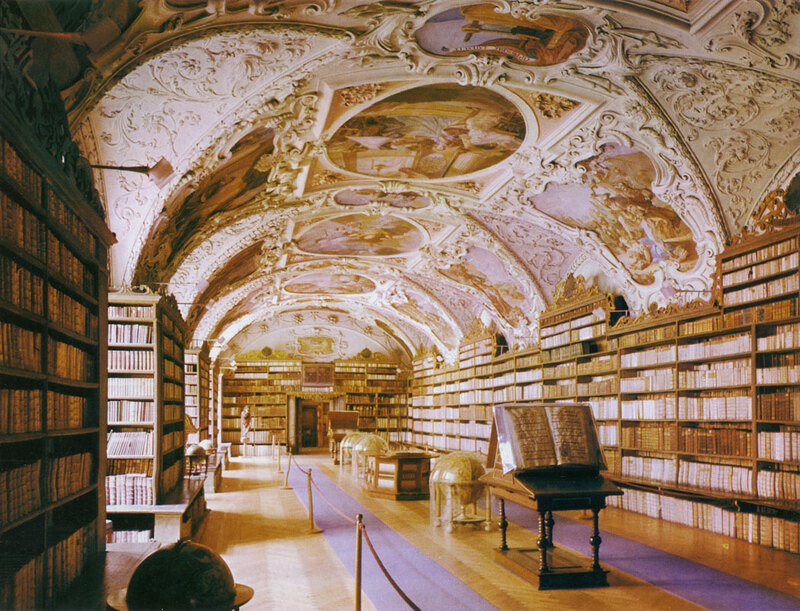 The Strahov Library, today part of the Museum of National Literature, was the largest monasterial library in the Czech Lands. Many rare manuscripts, incunabula and early prints have survived in it. During reconstruction work on the Strahov monas­tery in the years 1680-1698 builder Jean B. Mathey erected a Summer Refectory in 1690. The vaulting is decorated with a grandiose composition of the Heavenly Feast, again the work of Siard Nosecky dated 1732. 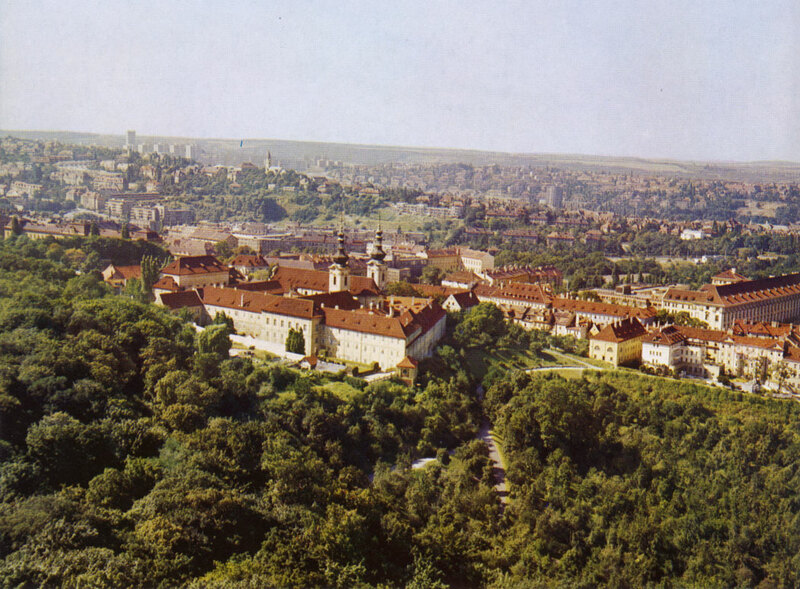 In the years 1782 - 1784 dozens of monasteries were dissolved in the Czech Lands, but the Abbey of Stra­hov had" a new building constructed in the courtyard to accommodate his library, with a Philosophical Hall as its centre. It is the work of Ignac J. Palliardi, who gave it an imposing facade. Neruda Street (Nerudova ulice) was given its name in 1895 in honour of the Czech writer Jan Neruda, who lived in the house At the Two Suns (dum U dvou sluncu). 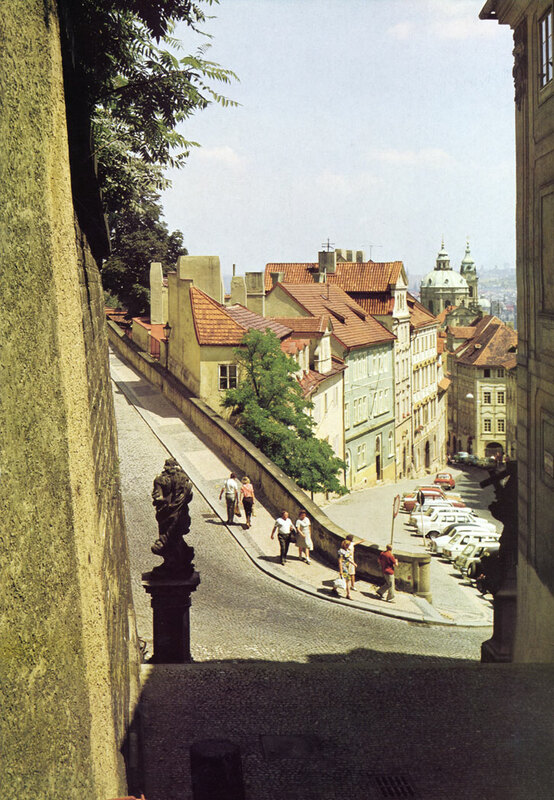 The street, famous for its picturesque house-signs, played an important role as the main line of communications in the Little Quarter, because it led up to the Castle, was linked to Hradcany by the Town Hall Steps (Radnicni schody) and led to the Hollow Way (Uvoz) and to the Strahov Gate.